What’s the best way to start your weekend in Laguna Beach? Obviously, at the local farmer’s market! 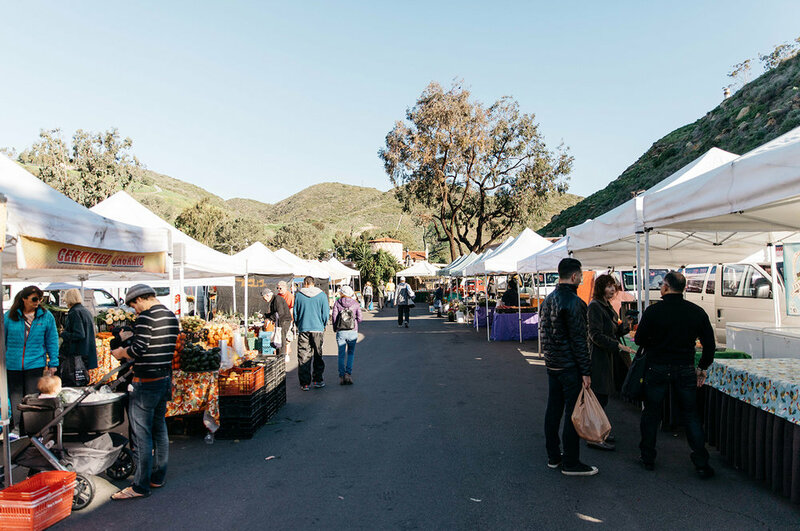 Although it may not be the largest, Laguna Beach Farmer’s Market is one of the best in Orange County. This market truly has something for everyone. 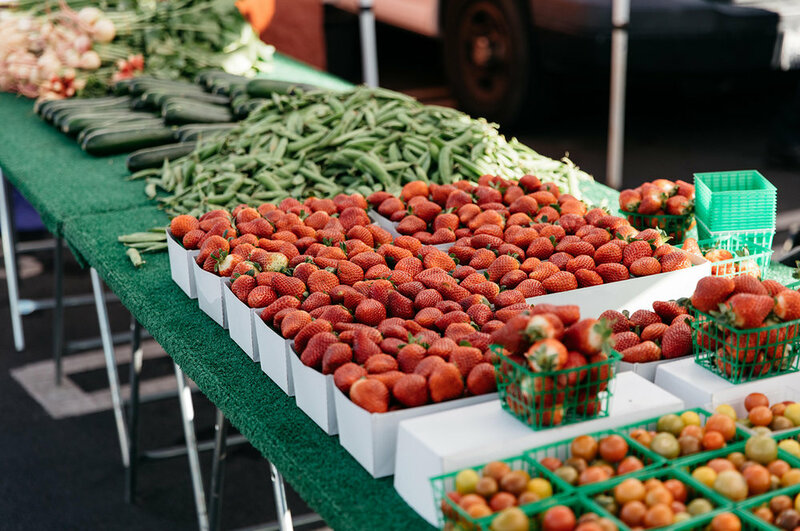 We’re talking fresh coffee for adults, organic popsicles for kids, speciality spices for your inner chef, and all the freshest fruits and vegetables you won’t be able to find anywhere else (yep, it even has our trusty Whole Foods beat)! 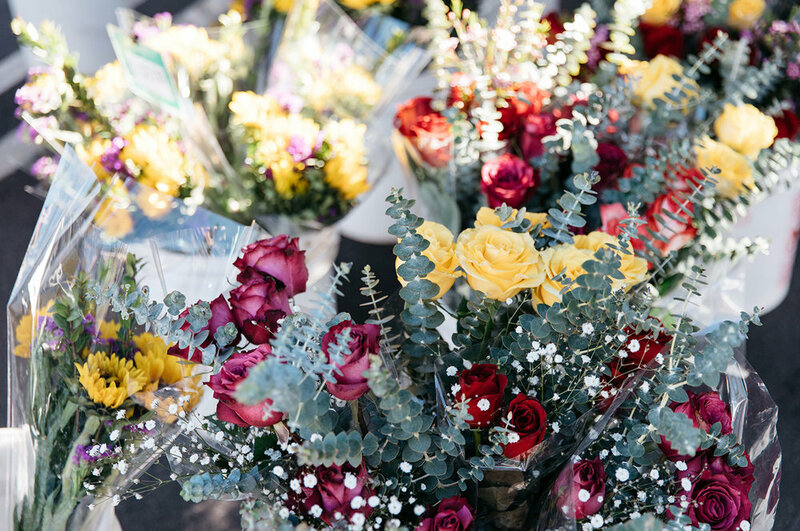 Our favorite thing to do is stroll around the market, sampling various goods and finding our newest obsessions. Even if you go every single weekend, with more than 40 vendors every Saturday from 8-12pm, there will always be something new to try. The farmer’s daughter, Ashlie Pesic, brings her family’s fresh meat (and also freshly frozen meat) to the market -- and it is, hands down, some of the best meat we’ve ever had. What they sell changes seasonally depending on what’s in higher demand, so in the winter they’ll offer more roasts and stew cuts, and in the summer you’ll find more grilling meats. Da-le Ranch ethically and humanely raises their animals and really cares about the quality of their animal’s lives. All of the animals are grass pasture raised from start to finish and fed the family-company’s very own proprietary blend of oats and barley. They are never given any hormones, steroids, or antibiotics or fed any corn, soy, or GMOs. Not only does Da-le Ranch offer quality meats and eggs to the community, but they’re always eager to share their extensive knowledge on cooking with their happy customers. Sunny Cal Farms is famous for their popular “pluots”, a juicy sweet mix of an apricot and a plum of which they have 60 varieties (you won’t find that selection in any Whole Foods). They also stock up with stone fruits like peaches and nectarines (basically, you’ll find anything at the Sunny Cal booth with soft flesh and a pit inside). If you aren’t super into fruits or veggies, they carry all kinds of nuts -- salted, candied, roasted. Never using GMOs or pesticides, they instead spray their produce with an organic seaweed mixture. *Hot tip: if it’s a hot weekend get their early because their freshly squeezed pomegranate juice will sell out! After only about six months of selling at this market, founder Evan Katz is making a name for his bone broth company. Katz always had a love affair with soup -- so much so that his old co-workers nicknamed him Brodino, which means “little broth” in Italian. After his wife was placed on a special diet, he began experimenting with making his own bone broth. Brodino Broth is infused with superfoods to boost medicinal and healing properties. It’s made with real organic, non-GMO ingredients like tumeric, reishi mushroom, dulse, and black garlic. You won’t find any preservatives or flavor additives because it’s all made locally from scratch in small batches. And, for those of you who are feeling a little queasy by the mere idea of it and aren’t yet ready to sip bone broth straight up, try taking small steps by making broth soup or stew, braise your meats, simmer your vegetables, or cook your rice in the broth. There are endless possibilities -- and they’re all amazing for you. Eric and Maria Maslansky, founders of the family owned and operated Vision Sprouts, have been supplying Laguna locals with sprouted and activated foods for over four years. They offer the highest integrity organic, non-GMO sprouts, microgreens, nuts, and nut butters. After some major health challenges, the couple discovered the healing benefits of sprouting and it completely changed their lives. They started sharing their passion with their friends and family and Vision Sprouts has -- literally -- grown from there. Vision Sprouts offers activated cashews, sprouted almonds and sunflower seeds, and a massive assortment of different kinds of nuts you don’t see everyday. They found that activating and sprouting nuts lowers acidity and keeps the living enzymes in the nut, making them more easily absorbed into the body. (Pretty cool right?) Their activated cashews are definitely their most popular item, but they recently began offering sprouted walnuts and pecans that locals (including us) are loving! Mari Verdugo is a fourth generation Laguna Beach native, photographer, self-proclaimed mermaid, and occasional writer. You can find her at the farmer’s market on any given Saturday devouring some pluots. Find Mari at @marielenaphoto or her website.